Eyelid surgery, also known as blepharoplasty, improves the appearance of the upper eyelids, lower eyelids, or both, to give a fresh & rejuvenated appearance to the skin & puffy tissues surrounding your eyes. Eyelid surgery will often help create a look that appears more rested and alert. Browlifting, Laser Skin Resurfacing, Botox, and Latisse (Lash Treatment) play a complementary role in rejuvenation of the eye area. Our Reviance Portland® staff can discuss your needs further during your consultation. Surgical techniques for eyelid surgery will vary depending on whether you are choosing to have work done on your upper, lower or both eyelids. Surgery will also vary if you are of Asian descent; if so see our Asian eyelid surgery page. Incisions for upper eyelid surgery are made along the crease of the lids, so scars are virtually invisible. For the lower eyelid, the incision can be made on the inside or outside of eyelid. Depending on your cosmetic needs, Dr. Chan can remove excess fat and skin from the eyelids and surrounding areas. What Can I Expect After Eyelid Surgery? Slight swelling and bruising of the eyelids is normal following surgery, and this should subside within a week. Be sure to carefully follow all of Dr. Chan’s post-operative instructions to insure proper recovery. The cost for eyelid surgery can be discussed at your initial blepharoplasty consultation with our Reviance Portland® staff. Insurance will generally not cover the cost of eyelid surgery. 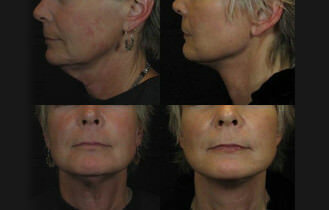 Click Here to See our Eyelid Surgery Before and After Photos!